Notwithstanding the loss of life caused by strategic mistakes of this magnitude, the structural constraints on weapons development also place long term US security at considerable risk. Specifically, in the context of the development of fighter aircraft, the increasing development times may leave the United States without the proper capabilities to address the security issues that emerge in the future. Although the next generation of combat aircraft may be generally autonomous and equipped with advanced weaponry such as lasers, the aircraft may not be appropriate for future security conditions. Combined with increasing development times, the number of aircraft models has decreased while the number national developers have increased. Strategically, the United States will be at increasing risk if current trends continue. The first generation of fighter aircraft emerged at the end of World War II with the introduction of the ME-262 by Nazi Germany. By the twilight years of the conflict, the United States, United Kingdom, and Soviet Union all either had an operational jet fighter or one in development. It took approximately three years for a fighter jet to reach initial operational capability from the time the first pens hit the drawing board on its design. By 1950, the United States and Soviet Union alone fielded at least 17 different models of jet fighters. By 2013 with the fielding of the sixth generation of aircraft, these three characteristics (development time, number of fighter models, number of developers) all substantially changed. The average development time increased from three years to eighteen years. 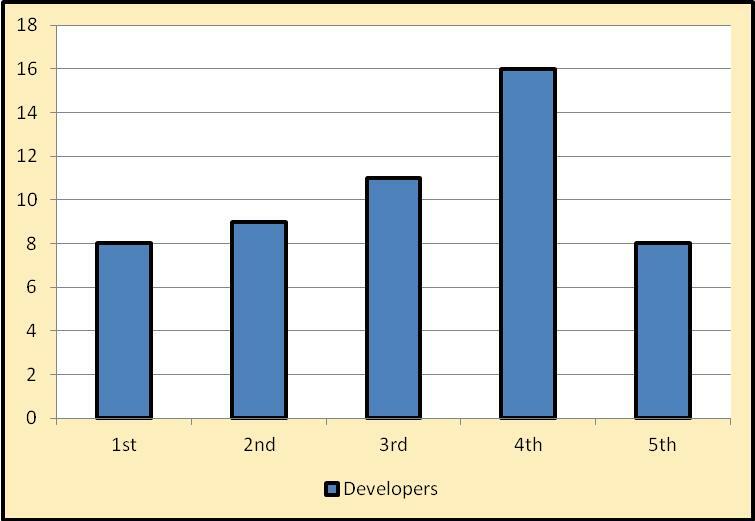 The number of developers doubled from eight to sixteen. For the United States, the number of fighter models decreased dramatically from twelve to two. 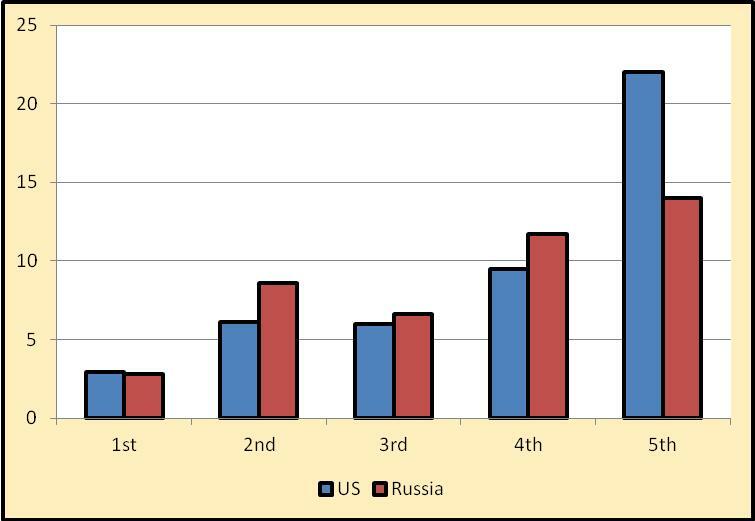 As illustrated in Figure 1, the rate of fighter aircraft development has slowed significantly for the United States. The complexity of aircraft has pushed technological capabilities to the limit with the introduction of amazing capabilities ranging from system networking to directed energy weapons. The maturation of these technologies and putting them within a flyable airframe requires extensive research, testing, and engineering. This not only lengthens development time but also increases program cost. The second problem, the reduction in the number of aircraft models, compounds this challenge. Figure 2. 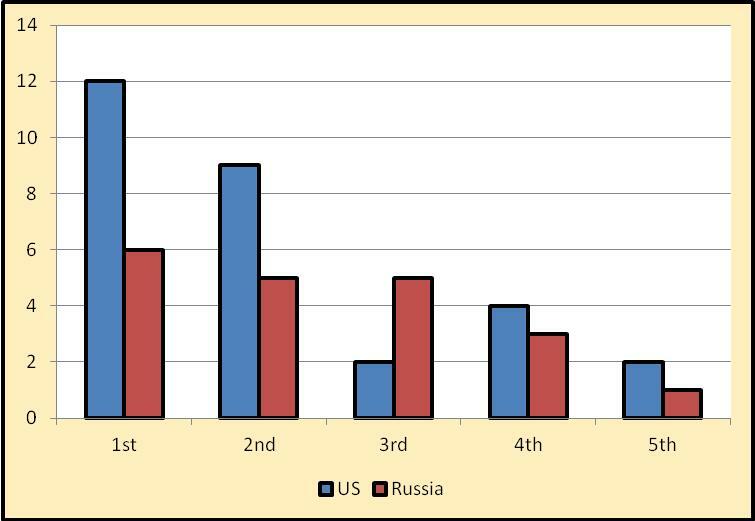 Number of US and Russian Fighter Models by Generation. Between the consolidation of the defense industry and the rising costs of fighter development, the Pentagon has sought a shrinking number of aircraft models to pursue an expanding number of mission sets. Where in the early generations, one fighter would perform air superiority and another ground attack, the Air Force expects current models to provide a wider range of capabilities. This has a direct impact on the complexity, and therefore cost and performance, of an aircraft. Lastly, the proliferation of technologies and the rapid growth of the global economy have caused the number of developers to increase. Cost drives part of this process. Smaller countries do not have the financial resources or the industrial capacity to independently develop a modern fighter aircraft. Consequently, these countries pool their resources to develop an aircraft that meets their collective requirements. The abundance of developers also expands the range of potential capabilities as each seeks to develop aircraft capable of meeting their national requirements. Budget, defense politics, alliances, and perceived threats all influence this process. From the first generation of jet fighters to the present, three substantial changes have occurred: development times have dramatically increased, the number of fighter models has shrunk, and the number of developers has expanded significantly. These trends have a significant impact on US security. Although the National Intelligence Council’s Global Trends 2030 report attempts to provide some clarity on the future strategic environment, the number and types of security risks in 2040 cannot be reliably predicted. 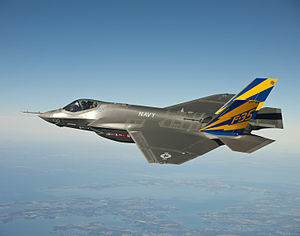 However, the long development times of fighter aircraft require US policy makers to make that prediction with accuracy. There are three main points to consider. First, as aircraft take many years to design and field, planners must anticipate in advance the capabilities necessary to fulfill national security requirements, and these capabilities must be relevant for several decades thereafter. As evidenced in the opening of this article, planners missed something as simple as improvised explosive devices. Extrapolate this challenge over twenty to thirty years across the globe. Second, the rapid pace of technological innovation and the structural constraints imposed on governments attempting to maximize capabilities pressures them to compress the number of aircraft models into a small field of multifunctional platforms. The complexity of these systems will increase development times and costs while reducing aircraft availability due to higher maintenance requirements. Third, the increased number of developers enlarges the range of potential adversaries and capabilities faced by a shrinking fleet of aircraft. Although an individual airframe will be more flexible, from a strategic perspective the United States will be severely constrained to meet multiple emergent or imminent threats. The trends in fighter aircraft development severely constrain America’ strategic options. Airpower requirements are being developed now to anticipate strategic problems decades into the future. The accuracy of these predictions can be called into question, leaving the US with capabilities it does not need or without capabilities it requires. A modern war may be over long before the US can implement short term solutions to address gaps in capabilities. Since future conflicts cannot be reliably predicted, as the number of developers increase, the US is at an exponentially higher risk to face conflict scenarios in which it does not have the appropriate capabilities to engage the threat. As the United States rebalances towards the Pacific to face an emerging China, planners must ask now what capabilities they will need twenty years into the future. Unfortunately, China may not be the threat in 2034 as it is imagined in 2014. In the words of Rumsfeld, if conflict erupts in 2034, the United States will have no choice but to go to war with the fighter aircraft it owns. Rumsfeld, Donald (2004). Secretary Rumsfeld Town Hall Meeting in Kuwait. [ONLINE] Available at: http://www.defense.gov/transcripts/transcript.aspx?transcriptid=1980. [Last Accessed 08 January 2013]. All source data originate from Bergmans, Werner (2011). Fighter Planes. [ONLINE] Available at: http://www.fighter-planes.com/.